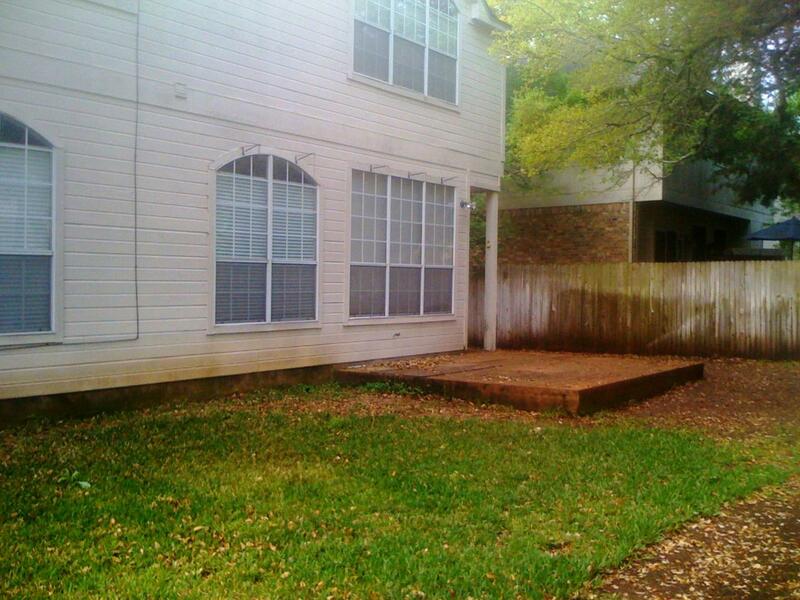 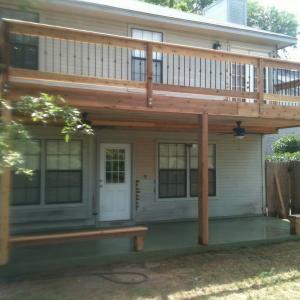 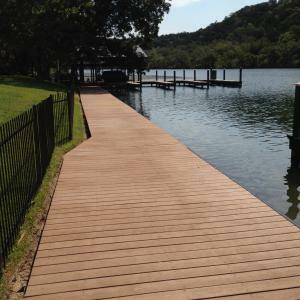 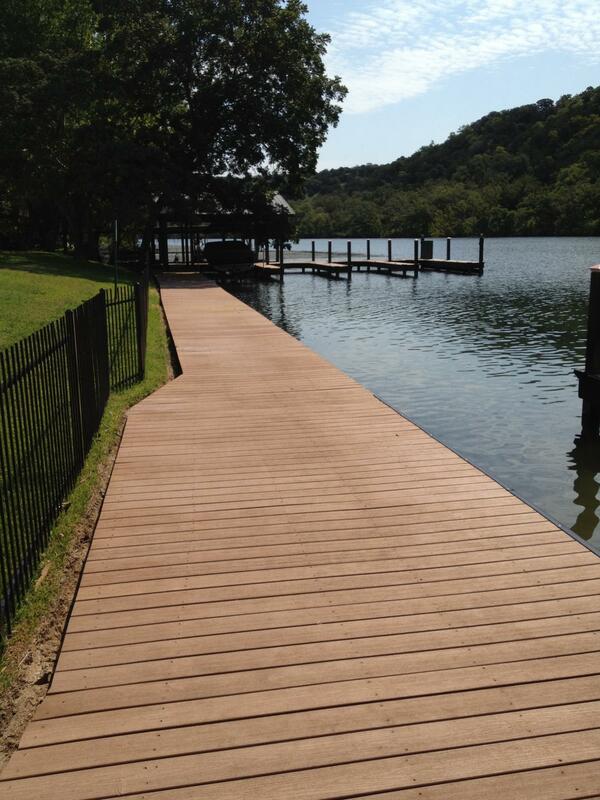 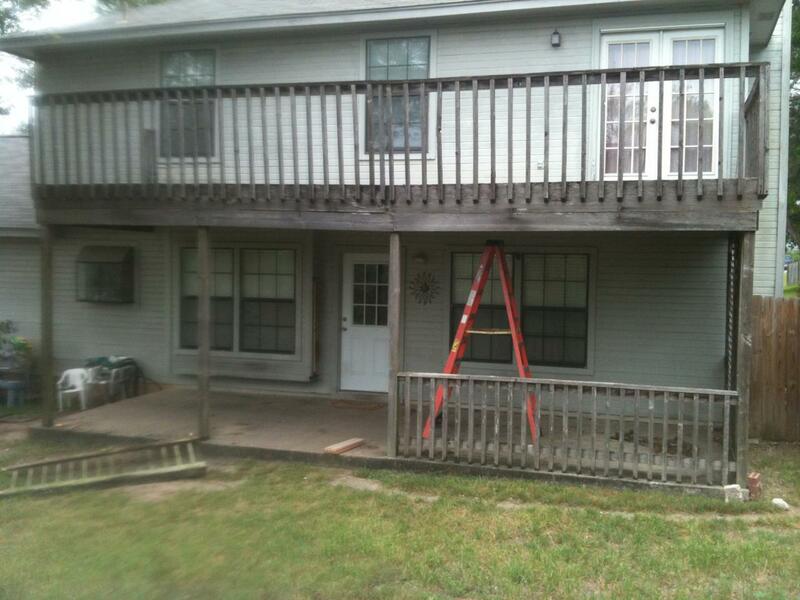 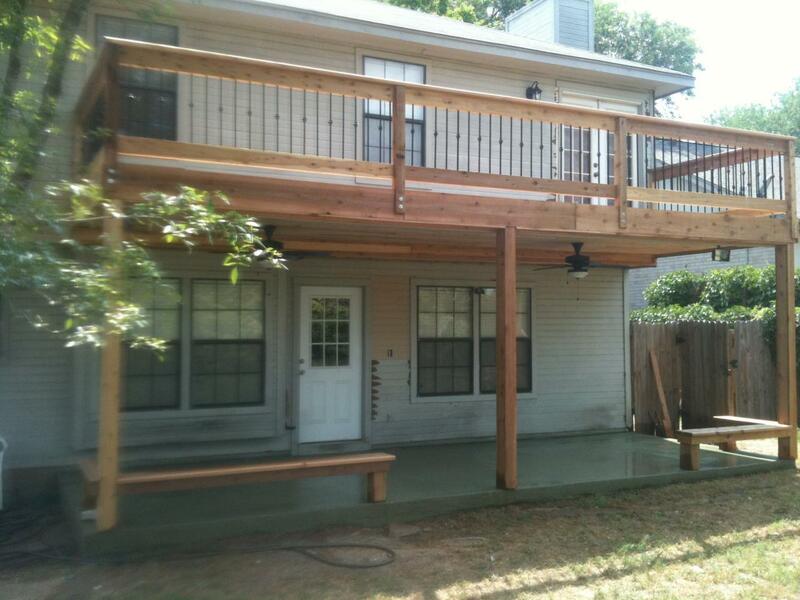 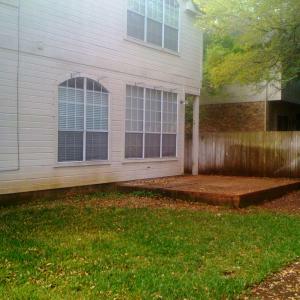 This composite deck was built with two different colors. 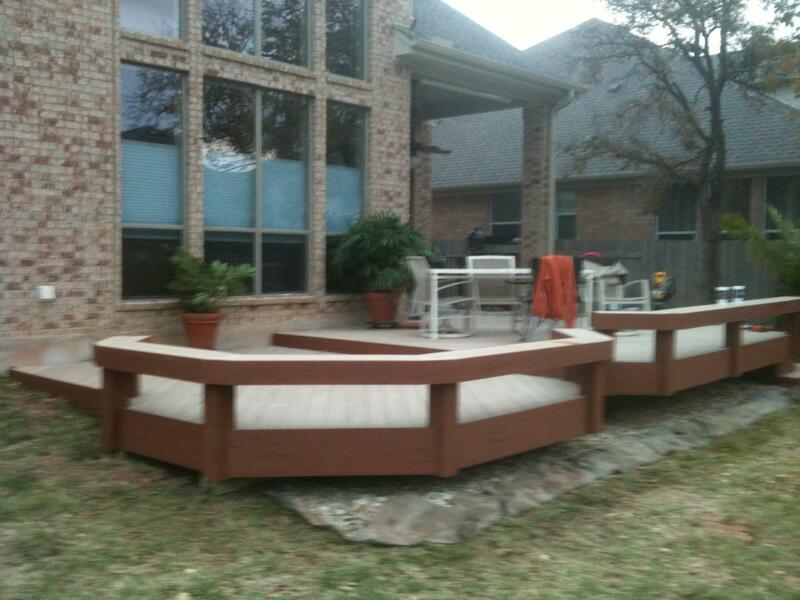 Sandstone deck top with Teracotta sides and post. 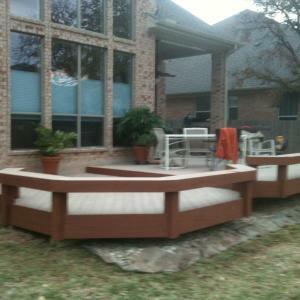 Also consist of multi-level with diagonal planks for the decking. 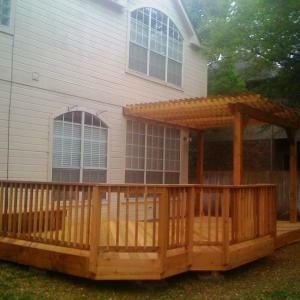 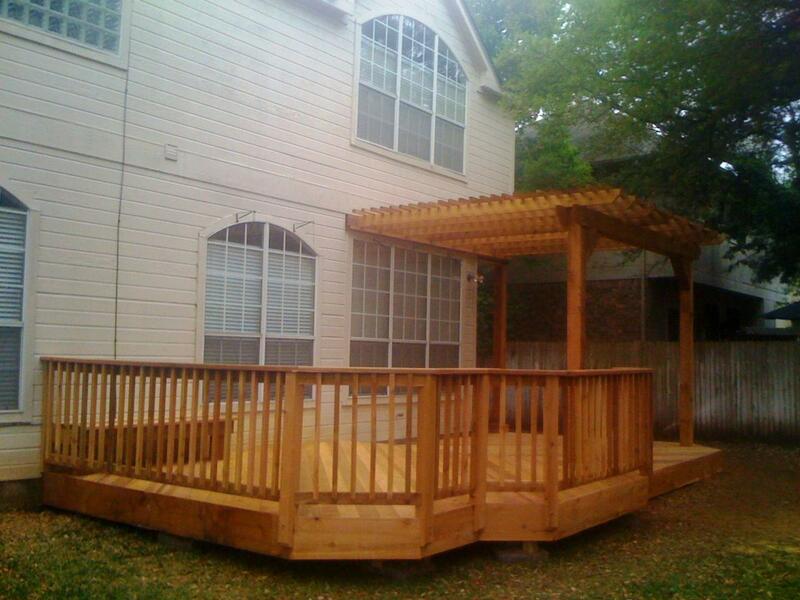 This particular project has a waterproof deck with 1x6 tongue and groove to finish out underneath the patio cover. 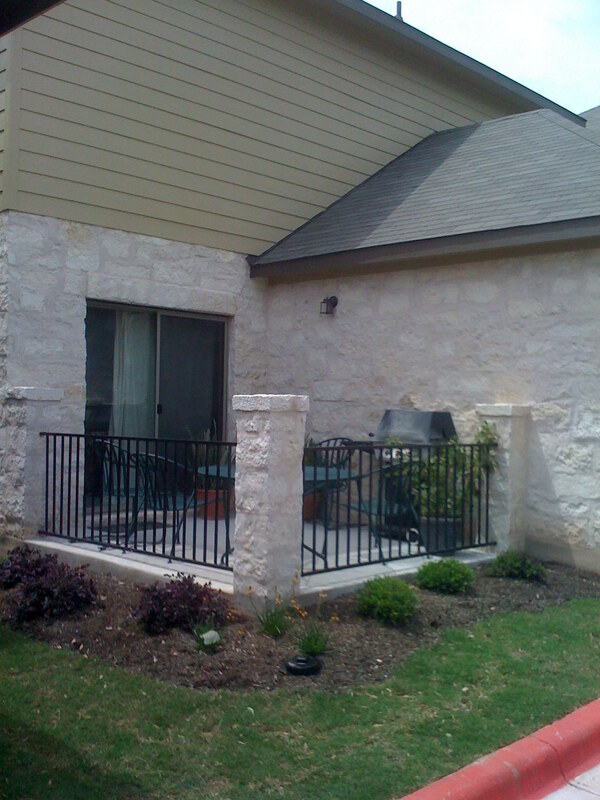 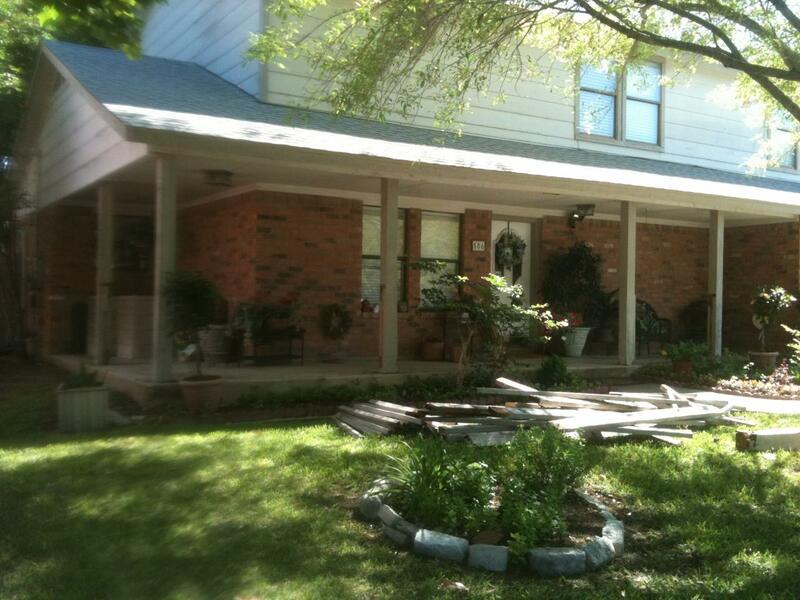 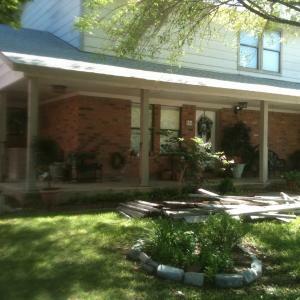 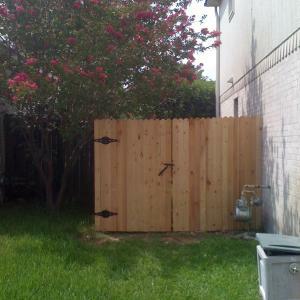 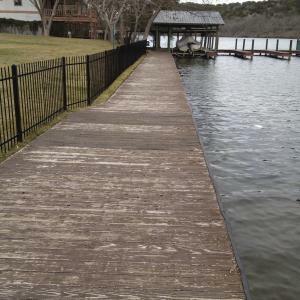 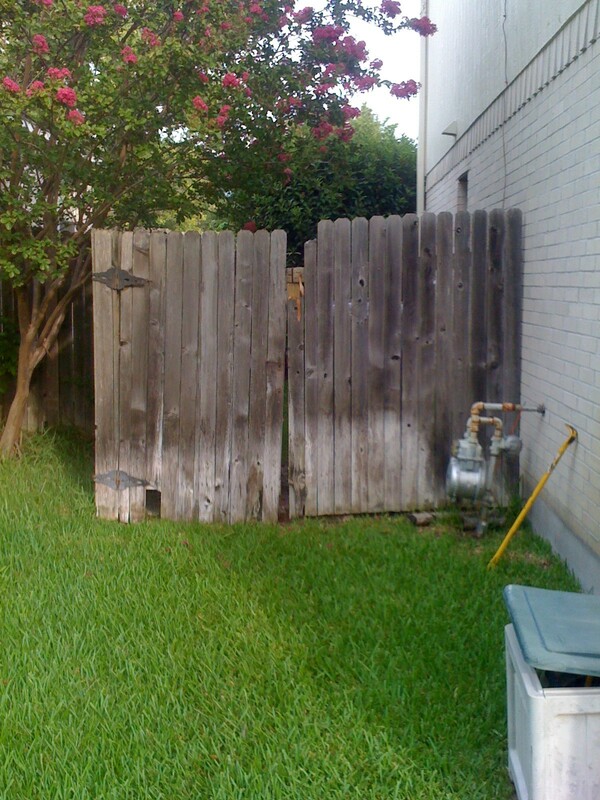 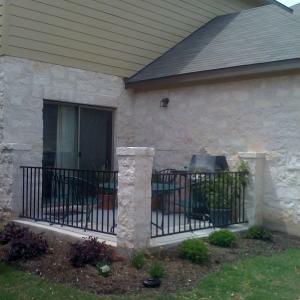 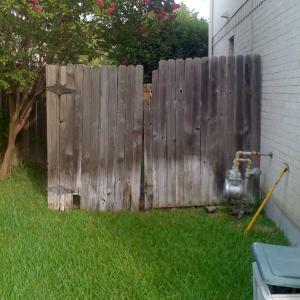 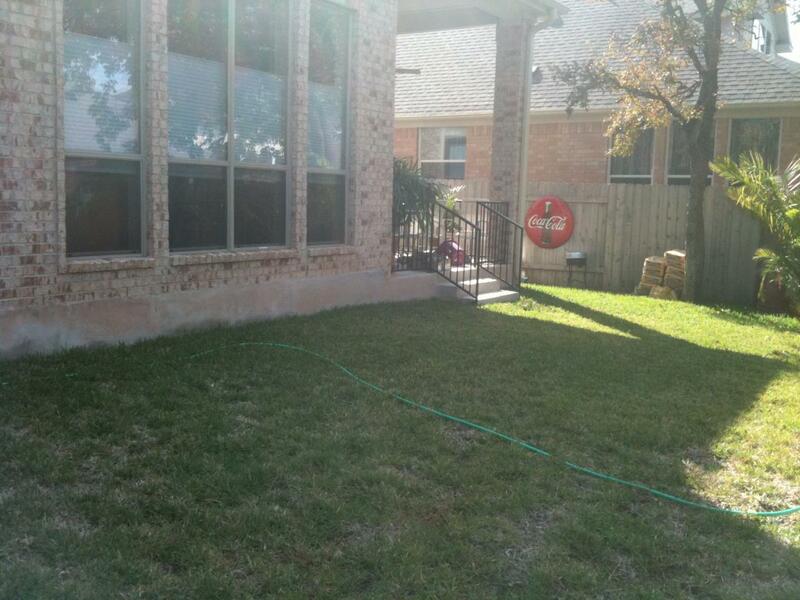 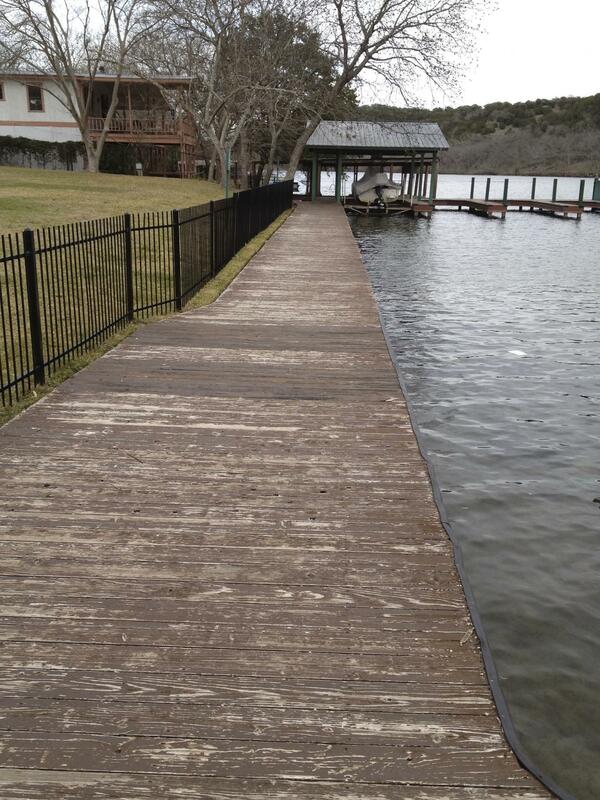 Removed existing rotted post and replaced with cedar post and cedar rails and twist wrought iron w/ a cedar cap. 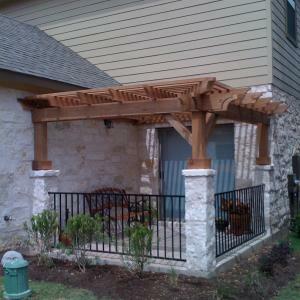 Brand new pergola, deck and wrought iron fencing around the pool. 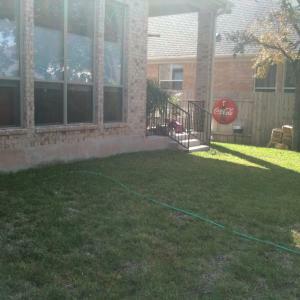 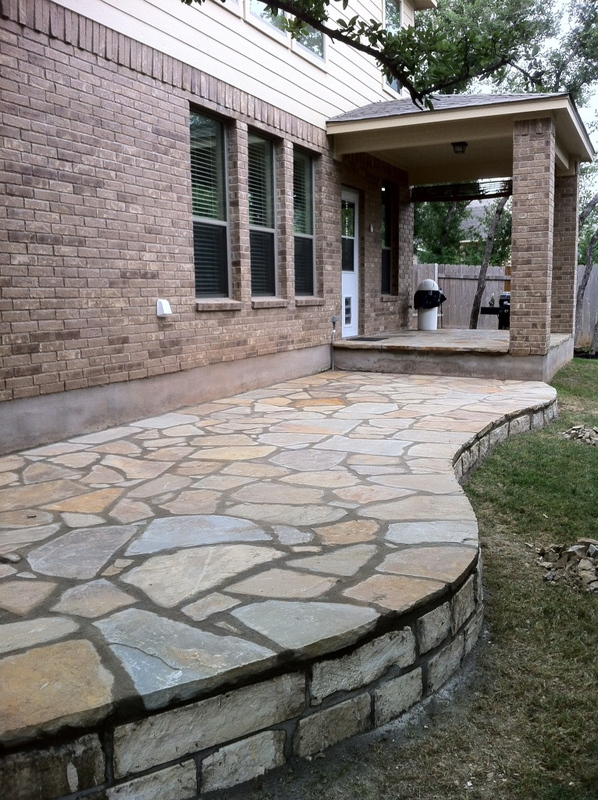 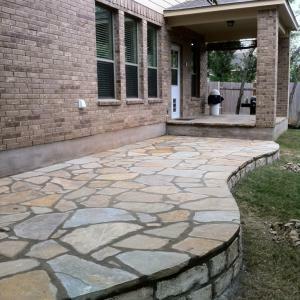 This patio bends around the edge of the house to provide a walk way to the gate. 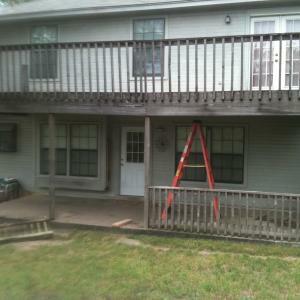 This project we took out existing window and placed a door in its place. 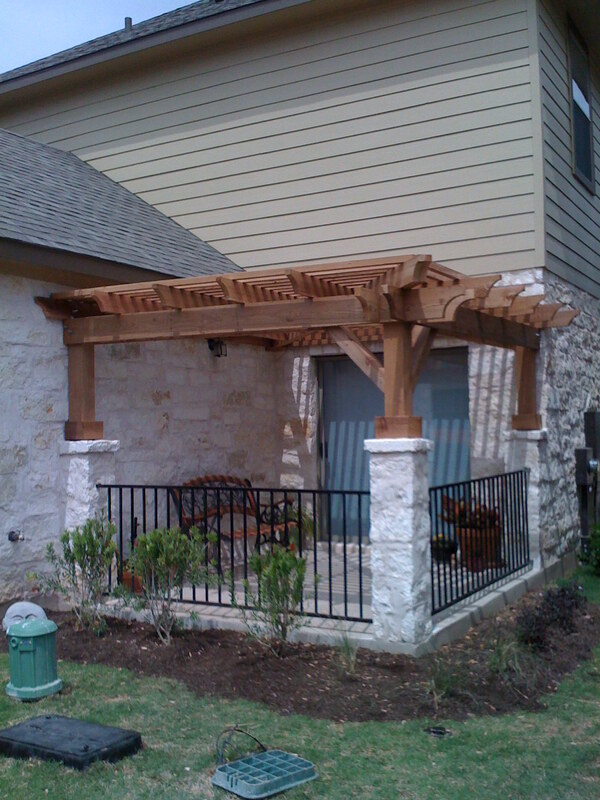 This project took place in a Tuscan-style community in Cedar Park. 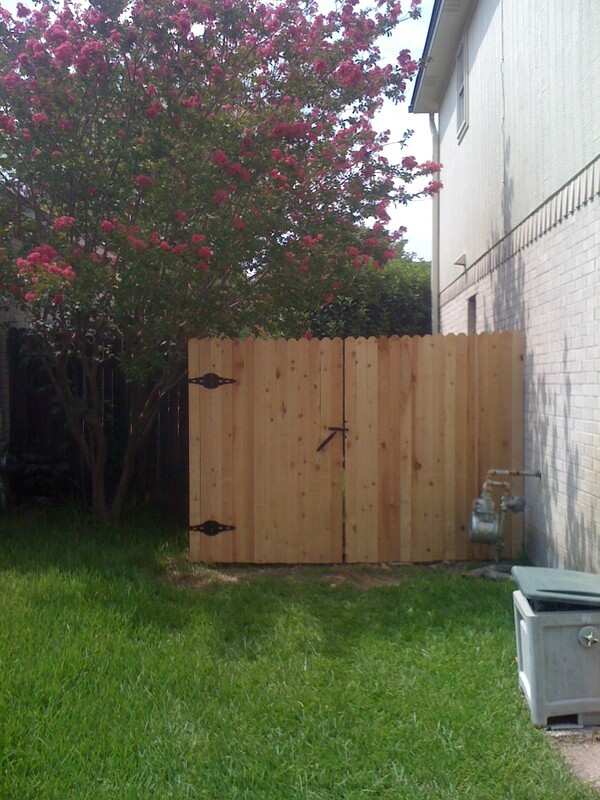 Used T/G cedar for walls and diamond plated metal for trim and doors.